Cute! Just try to not smile at the sight of these adorable little erasers. 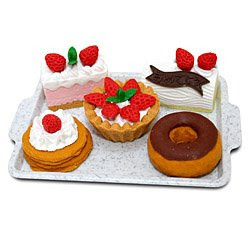 Cakes, pancakes and a donut - they're just too sweet! Get 'em while we got 'em. FINALLY. 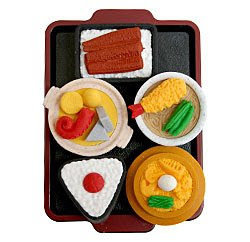 Yep, these fun Japanese Food PVC erasers are back in stock at last. They're perfect for that student in your life who has just gone back to school. And keep them in mind as the holidays approach - they make the best stocking stuffers. 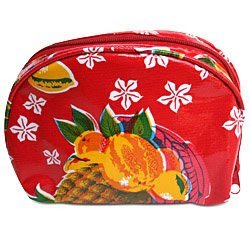 We like the design of this oilcloth cosmetic bag a lot. It's a great size that fits nicely into a purse. And, as always when it comes to oilcloth, we love the beautiful, colorful patterns. Pictured above is the Pineapple Red pattern - check out the site to see the others, Forever Yellow and Rosegall Blue.